Oklahoma is regarded as a Great Plains state, but its topography goes way beyond acres of prairie land. Oklahoma’s varied and distinct regions consist of mountain ranges, prairies, plains, hills, valleys, forests, canyons and mesas. With such a wide range of landscape, Oklahoma is a dream location for outdoor enthusiasts of all kinds. The granite mountains of southwest Oklahoma are perfect for rock climbing and rappelling. The open plains and lush forests provide scenic trails for horseback riding, biking and riding ATVs. Oklahoma’s beautiful waterways are perfect for canoeing and kayaking, whether you prefer the thrill of whitewater or just an easy paddle down a lazy river. With scores of parks, wildlife refuges and recreation areas, Oklahoma is full of non-stop adventure year-round. Oklahoma’s favorite son is memorialized in this museum and education center. The museum not only offers displays celebrating the performer and cowboy philosopher but frontier camps and workshops as well. At 60 feet in height, this is the largest bronze sculpture in the world. The hands, once known as “The Healing Hands” stand on the same property as the Oral Roberts Prayer Tower. Oklahoma is home to 33 diverse state parks, each offering an impressive array of recreational activities and lodging options. Black Mesa State Park and Nature Preserve, Robbers Cave State Park and Keystone State Park are just a few. 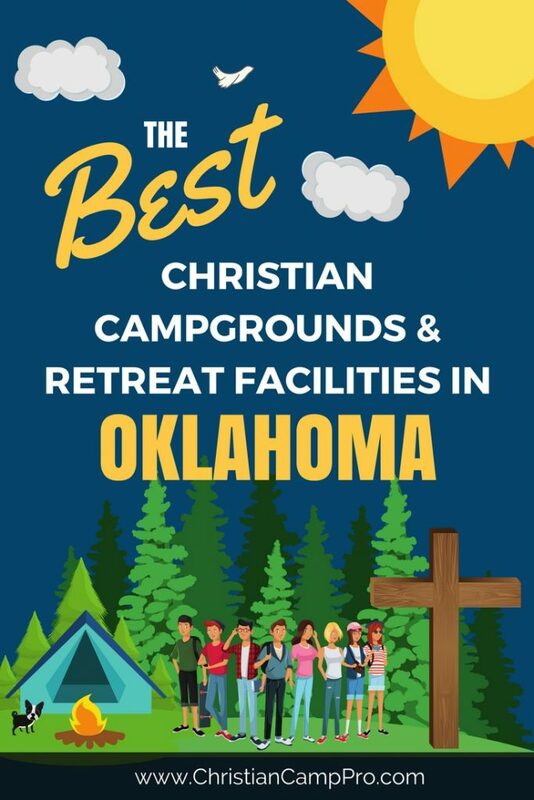 Oklahoma’s natural beauty and geographical diversity make it a great place for a youth camp or adult retreat. With mountains and plains and lakes and rivers to explore, there are endless opportunities for adventure. Oklahoma’s parks, museums, rodeos, and nature preserves are sure to provide an exciting experience for everyone.